Not since the advent of recordings has jazz been immortalized, and cherished. Recording jazz became an attempt to capture a magical fragment in time never to be exactly duplicated. It is a document of an event, but not the event. The vast majority of jazz is not recorded, making it a momentary art form. Every moment in jazz is a culmination of a combination of player’s ideas, spontaneity, the environment, the music, and even the audience has an effect on the performance. There are thousands of subconscious calculations occurring continuously and instantaneously during every musical performance. For instance: time, tempo, feel, key, mood, etc. If we can automate or internalize the majority of the fundamental elements, they become less of a burden on the player. The solution is to train yourself, such as a martial artist would: to react instinctively to your musical “environment”. are highly variable: opponent skill level, environment, resources, interaction, state of mind / body, etc. require high amounts of innate information that require the combatant/performer to have instant access to it. closely link the spiritual, intellectual and the physical. One of the finest ‘improvisational’ artists in the world was Bruce Lee. If you study his philosophy you begin to understand the parallels of his art and the world of improvised music. 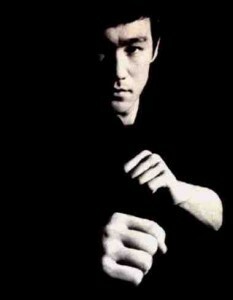 Bruce Lee founded the hybrid branch of martial arts called Jeet Kune Do, which involves many of the best elements of all the other major forms of martial arts. “JKD” is designed so that the practitioner may easily adapt to any combat (jazz performance) situation that arises. You train to react quickly, efficiently and instinctively. There becomes no second-guessing when executing a task. The task is completed and over before you can think and reflect upon it. The “Tao of Jazz Improvisation” is a macro system. You’re not working on a particular section in a piece of music or a set of scales. You’re working on becoming a finely tuned, adaptive, holistic jazz performer. Another theory derived from Jeet Kune Do states that when engaging in combat (jazz performance) one must have a completely clear mind in order to instinctively act/react to the events at a faster than average human rate. Enhanced speed and agility occur when the body is consistently trained at a more intense level and for longer periods of time than ever asked upon to execute during combat (jazz performance). After consistent utilization of the “Tao of Jazz Improvisation” you train your ears/mind/body to become vehicles to allow you to “empty” your conscious mind and effortlessly express your higher creative self.